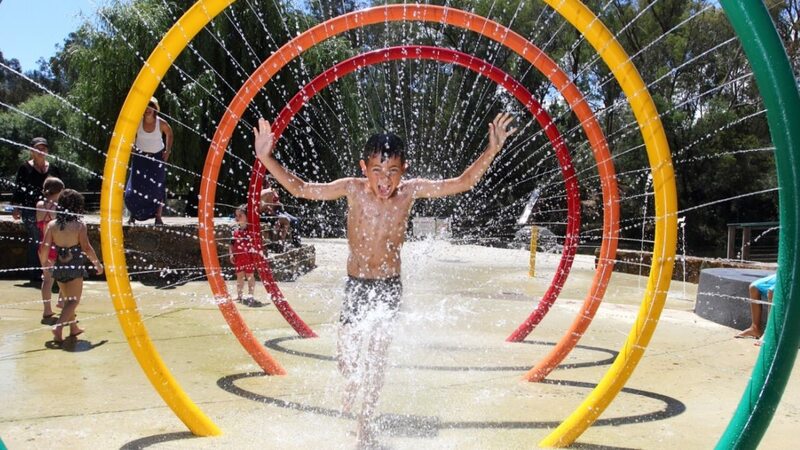 Bright’s new natural themed splash park has opened up in Centenary Park, alongside Morses Creek, and is a great draw card for families to Bright and surrounds over the warmer months. 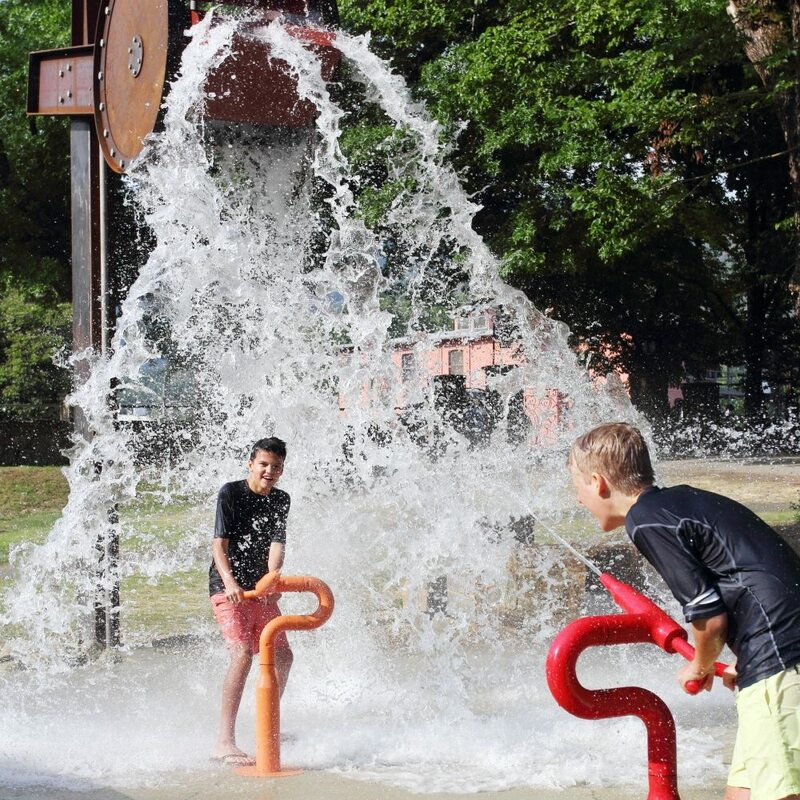 With design centered on the region’s mining heritage and natural environment, there are four splash pads, each designed to suit different age groups from toddlers through to teenagers. The surface of the splash pads is textured concrete. The park has been designed to suit graduating abilities, but parents still need to judge their child’s ability to use certain elements. The top pad with the dredge bucket is an exhilarating experience and is best suited to older children. 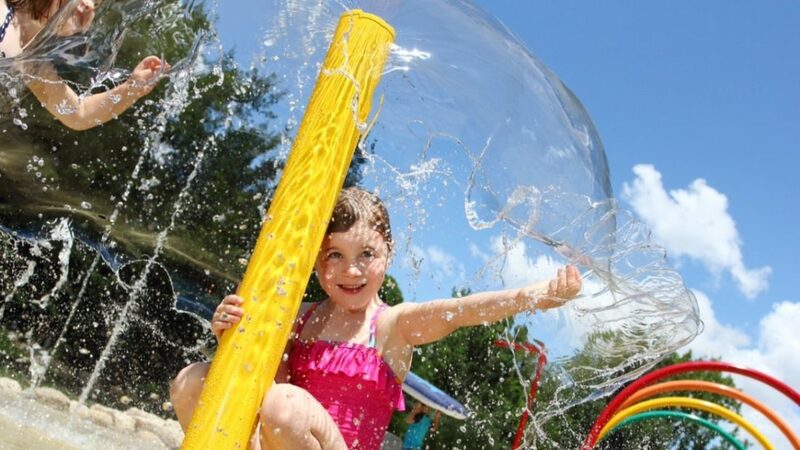 The park uses a single-use water system which draws water from a bore and requires no chemical treatment. Used water is drained into the river, adding to the natural flows. Best of all, its FREE!  A must to add to your bucket list for your next visit to Bright! !